The Grand Canyon fills me with awe. It is beyond comparison. Let this great wonder of nature remain as it now is. You cannot improve on it: but what you can do is to keep it for your children, your children’s children, and all who come after you, as the one great sight which every American should see. 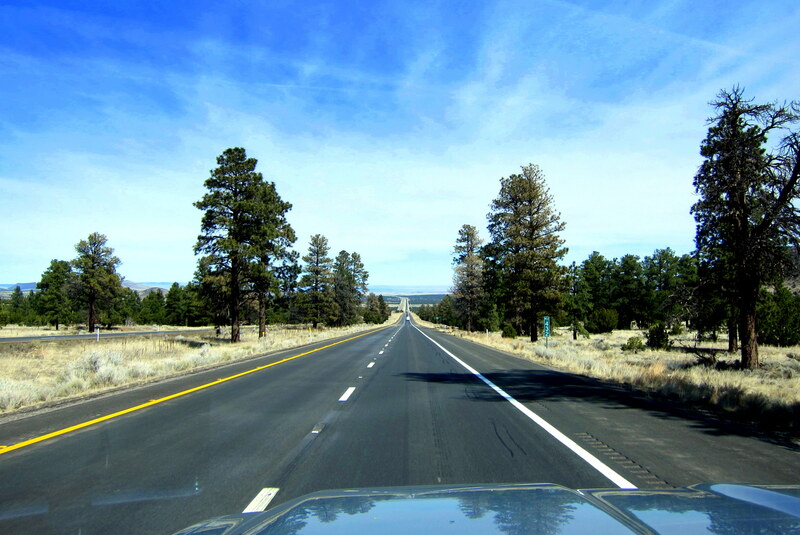 Thursday, March 26, 2015: Kit and I left our campsite at the Fort Tuthill Recreation Facility in Flagstaff, Arizona shortly before 1100. The sky is bright with a temperature of 53 degrees and at long last we are on the way to Grand Canyon National Park. Our trip to the Grand Canyon has been twice delayed over the past three years! One of the problems in being a snowbird, is that the prime time to be in the places you want to experience, is also the prime time to be in your northern home state! So getting to the more northerly or higher elevation destinations in winter is a crap shoot! However, this year the stars aligned, the weather gods cooperated and there was a small window of opportunity for success. 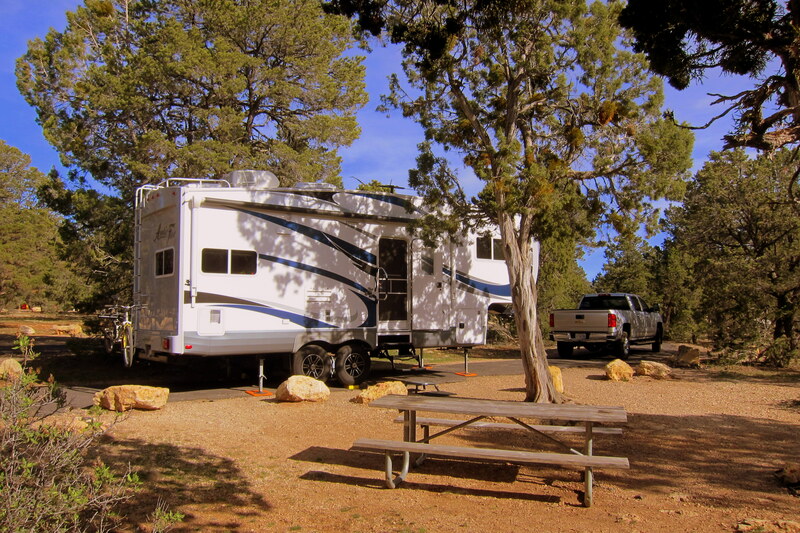 And, we were able to score reservations at the premier campground in the NPS inventory…..life is good! Taking I-17 north until it intersects with I-40 where we head easterly. 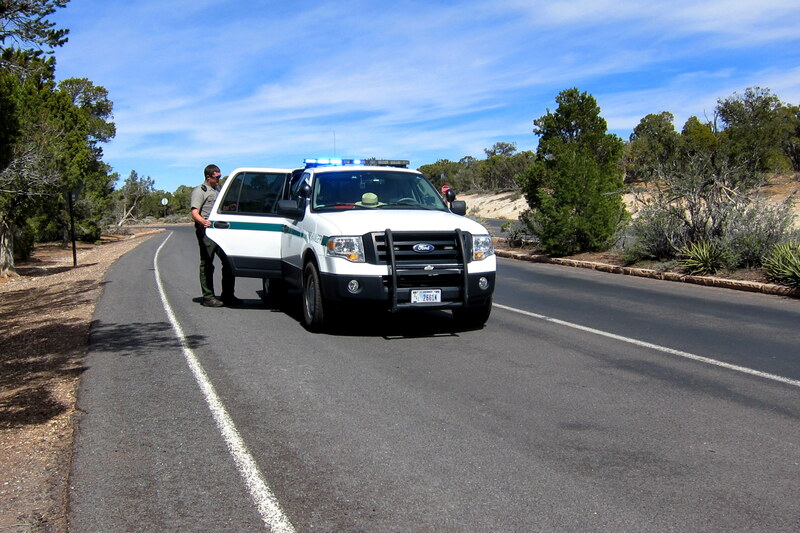 There are two gates to access Grand Canyon National Park…..we decided to enter through the east gate and depart in a few days by the south gate. This allows us to enjoy different countryside and drive the length of the park. We are on the interstate for only 15 minutes before we exit at US-89 and meander northerly. 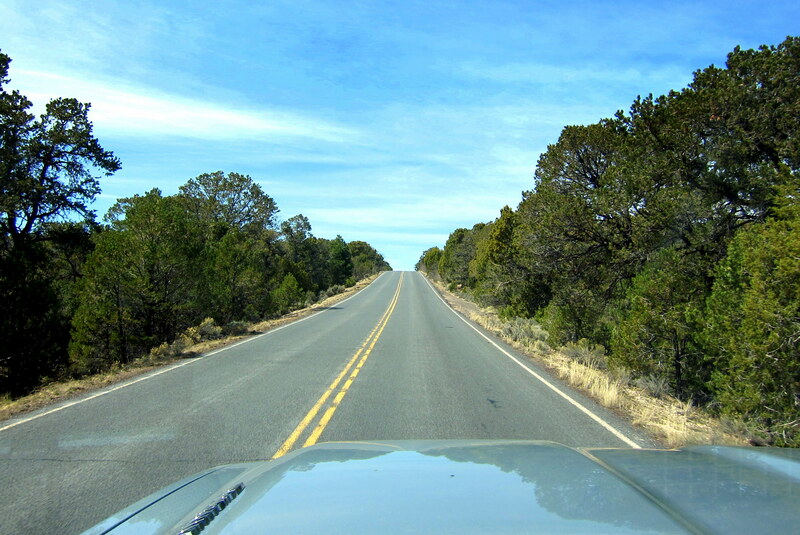 As Kit and I leave the pine forest prevalent at 7000 feet, the terrain changes as the elevation drops and by 5000 feet the vegetation has changed to more of a sparse high desert variety. As we flash our NPS Senior Passes and roll through the gate we connect to the East Rim Trail. In a few miles, we catch our first glimpses of the famous canyon. The road is heavily wooded and sightlines are limited, so I’m driving slower than the speed limit……not an inconvenience to any fellow motorist on this lightly traveled road. Suddenly, I notice movement reflected in the side mirror and simultaneously hear a loud thump. We unfortunately got in the way of a young mule deer trying to sprint across the road. The poor thing smashed into the left side of the trailer and tumbled off alongside the road. I had to travel another couple hundred feet before finding a safe place to pull over. Running back up the road as I was calling the rangers on my cell phone, it was obvious the poor thing was hurt pretty badly. One NPS Rangers arrived and took my statement as the other went to attend to the deer. Both rangers were extremely professional and were great at calming Kit and I down. We were feeling pretty bad, but apparently these wildlife strikes are common…..still doesn’t make it easy to deal with however. 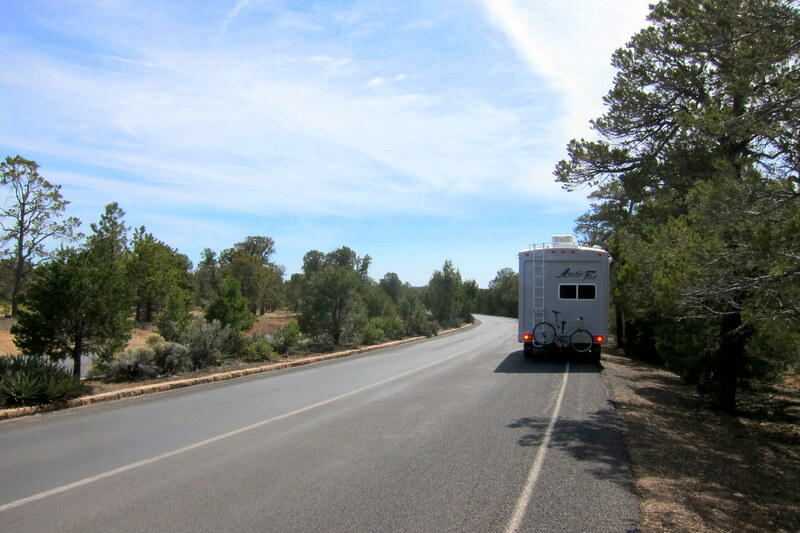 As we found our way to Grand Canyon Village and Mather Campground we set up and relaxed for the rest of the day. 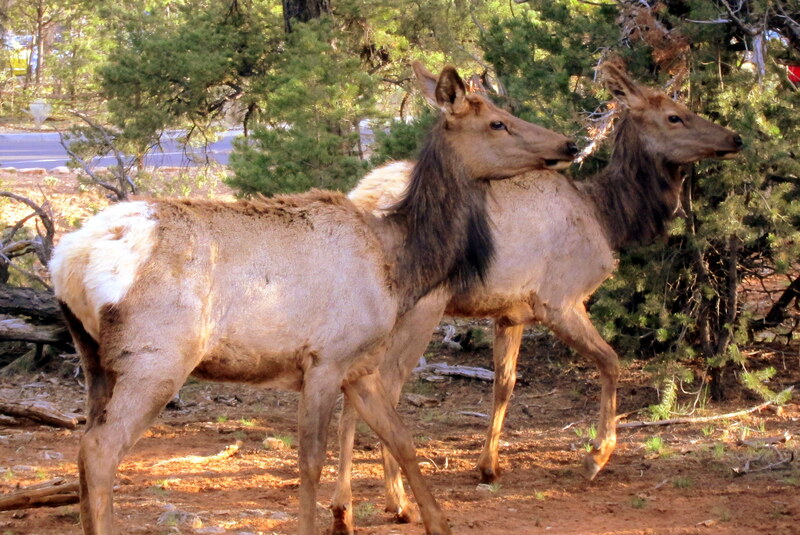 As Kit and I were sitting outside, enjoying the beautiful area a couple of young elk wandered by the campsite. I like to think that it was their way of letting us know that, regardless of the earlier mishap, we were welcome in their environment. 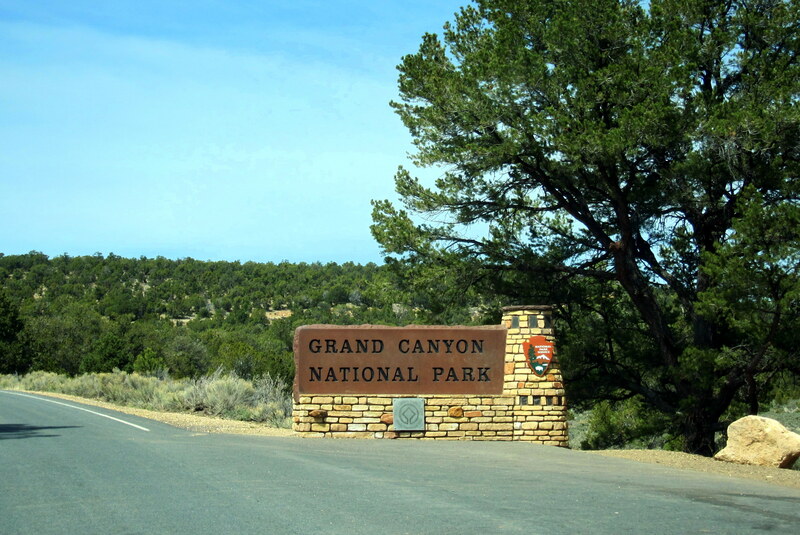 Friday, March 27 and Saturday, March 28, 2015-Grand Canyon National Park: Up early, breakfast and out the door for a day of exploring! First stop was the very nice visitor’s center where we viewed a movie, picked up a few maps and talked to the ranger about what to see and do. As most folks know, the one mile deep Grand Canyon was, and still is, being carved by the relentless flow of the Colorado River. Over two billion years of erosion has exposed some of the oldest layers of the earth. The National Park Service manages and protects over 1,904 square miles of the most beautiful terrain in the country. Grand Canyon was designated a National Park in 1919, just two years after the establishment of The National Park Service. It has been designated as a UNESCO World Heritage Site and listed as one of the Seven Wonders of the Natural World. Over the two days we were in the park, Kit and I were able to see and enjoy many of its most iconic sights. At the parks eastern boundary there resides an ancient looking structure known as The Desert View Watchtower. These towers are common amongst the Ancestral Pueblo People of the area for personal storage and physical security. 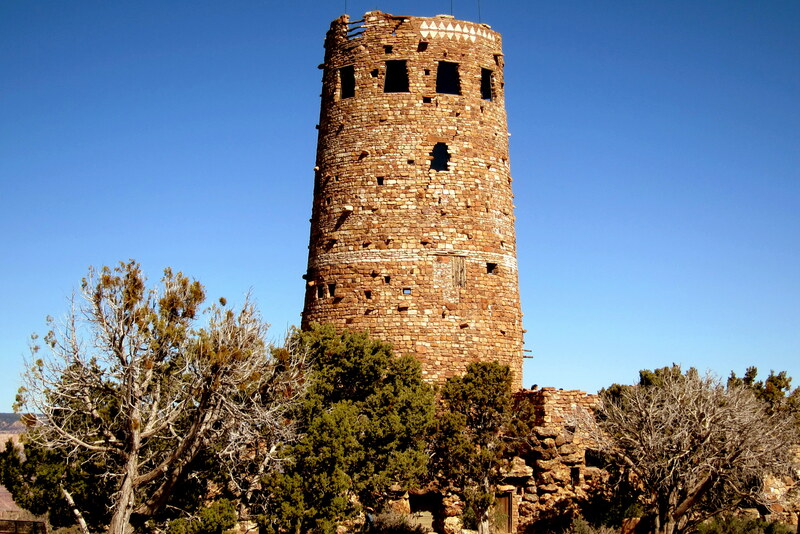 The seventy foot tall Desert View Watchtower was designed by architect Mary Colter and was created to look like an old ruin. 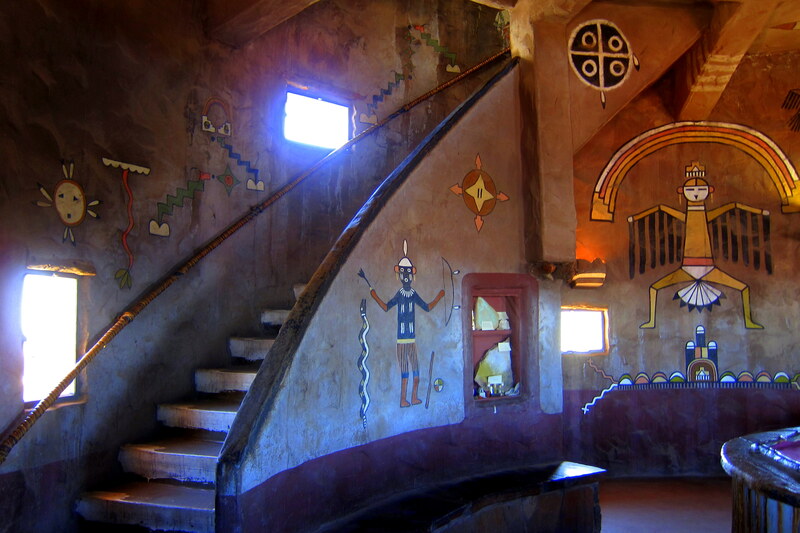 It was built in 1932 by the Fred Harvey Company and constructed using native materials; however the underlying framework is all modern. Steel girders support the tower…..the distressed adobe brickwork and Pueblo style windows and doors are a facade. Access to the upper floors and the observation deck is by a spiral stairway winding about the perimeter of the tower. To further enhance the illusion, Ms. Colter ordered that native pictographs be replicated on the interior walls. 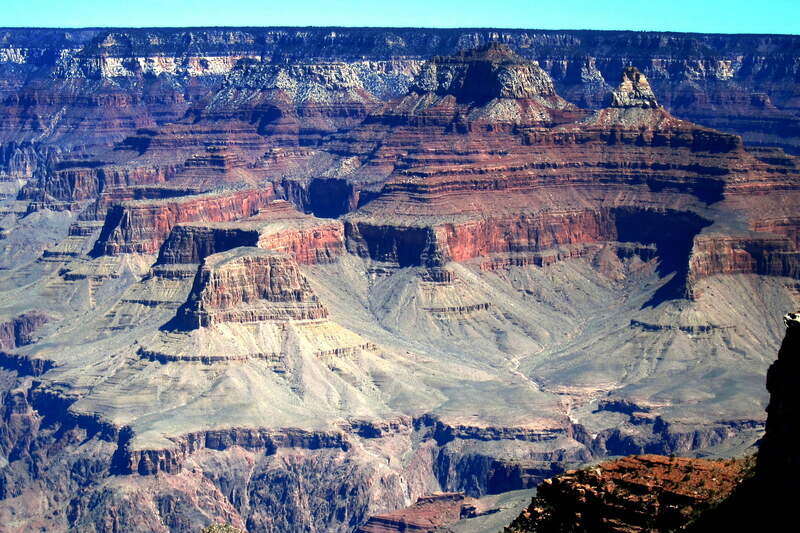 The illusion works…..the tower is a fascinating structure that looks at place on the rim of the Grand Canyon. On the upper observation deck, one can enjoy incredible views of the countryside. 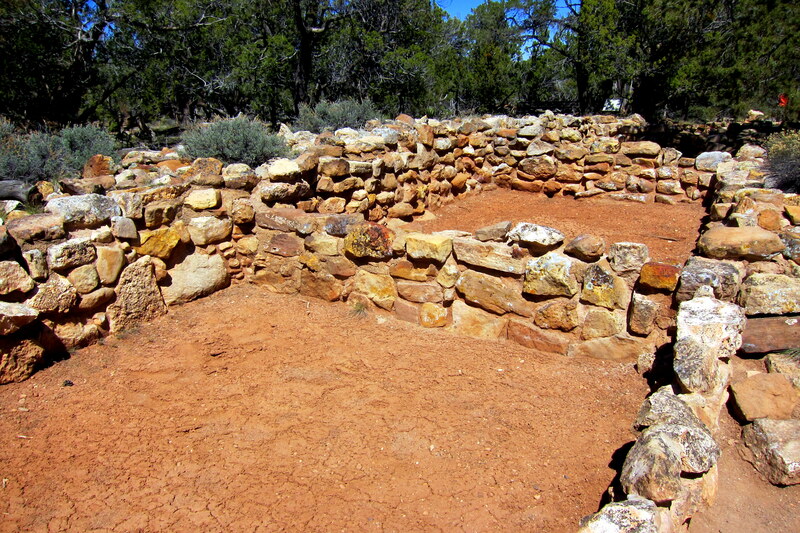 A few miles down the road from the Desert View Watchtower, are the remains of an 800 year old Anasazi Village. The ruins have been stabilized, but no attempt has been made to rebuild the village…..what the visitor sees is as it was when first discovered eighty-five years ago. 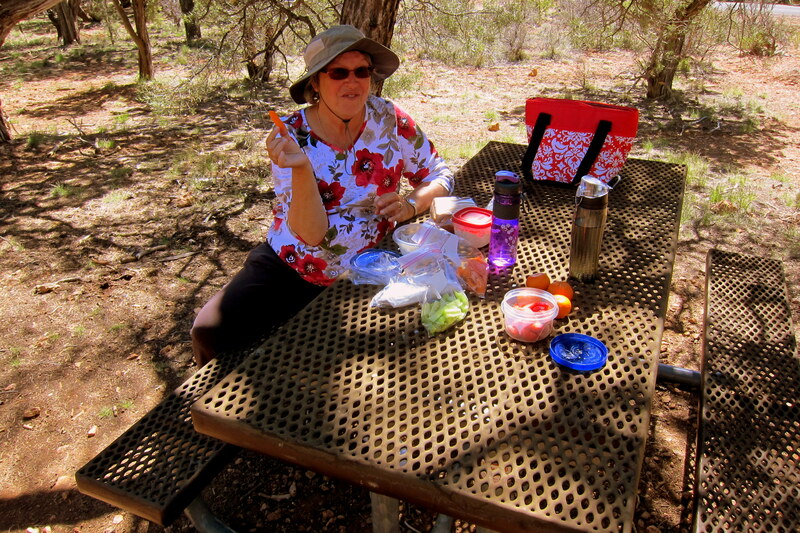 Near the ruins, there was a great picnic area in the trees where Kit and I relaxed and enjoyed our camper-made lunch. 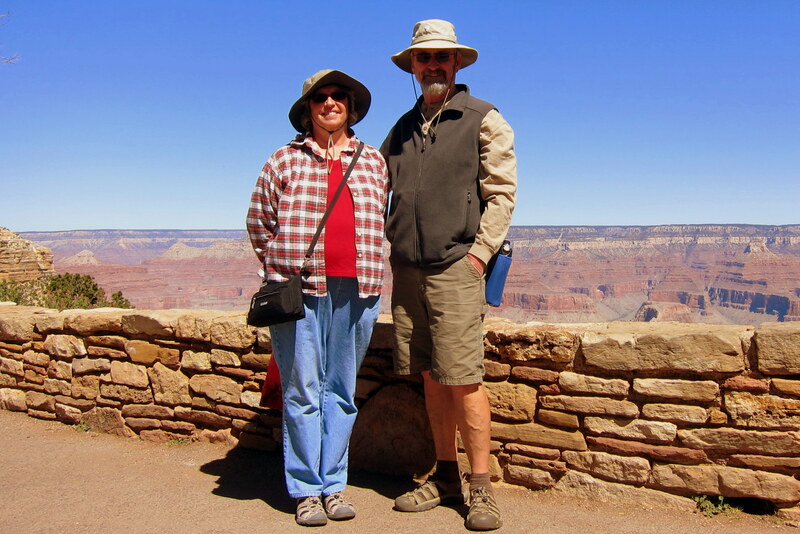 During our stay we also explored historic Grand Canyon Village and walked the Rim Trail for a few miles. 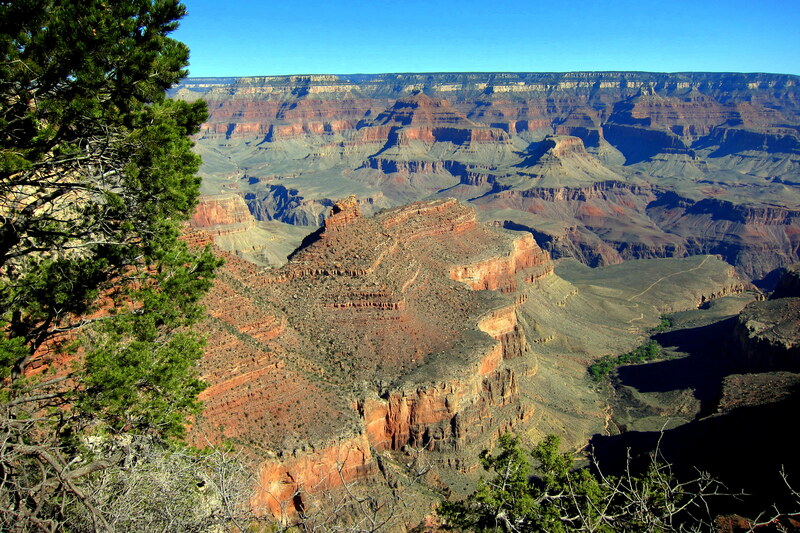 This trail provides access to most features in the village and, as the name suggests, allows an easy and safe walk along the rim to enjoy different perspectives of the canyon below. 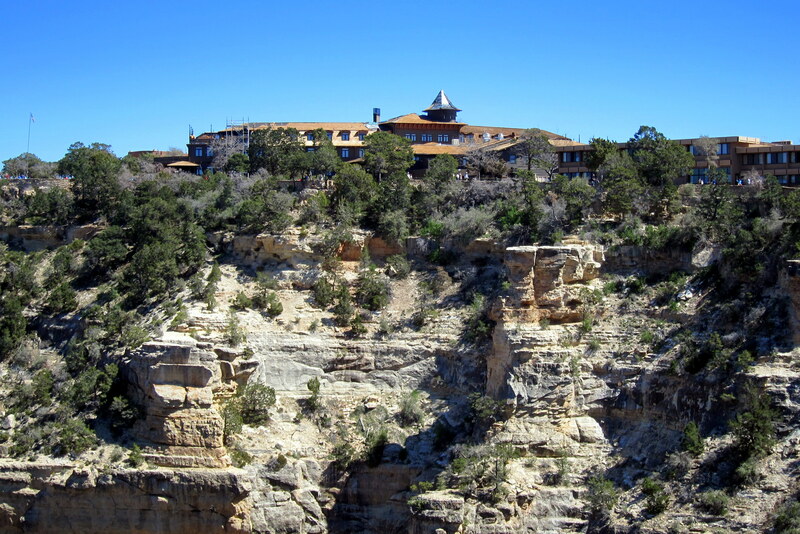 The Rim Trail passes the historic El Tovar Hotel. 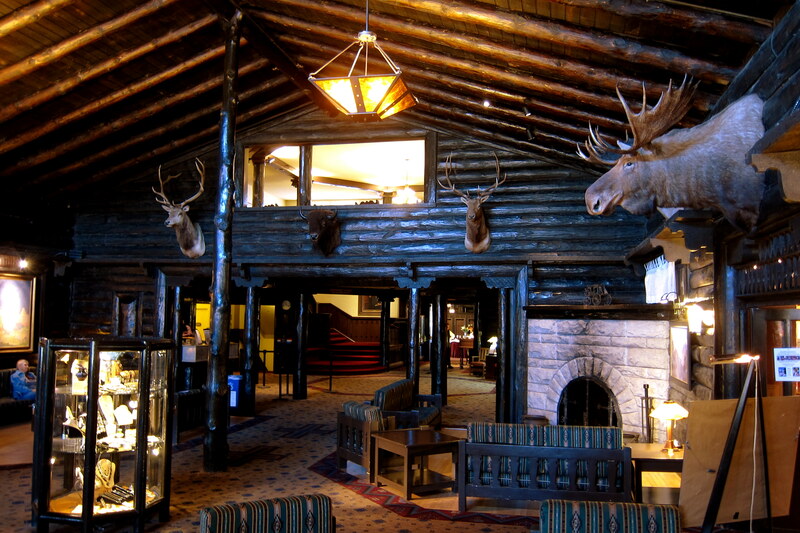 Built as a railroad destination resort in the early 1900’s by the Fred Harvey Company the El Tovar sits just feet from the canyons rim and provided the well healed tourist of a hundred years ago a rustic retreat with lavish accommodations. We tend to see the influence of Fred Harvey a lot in the southwest. So who is this guy that few have heard about? In the later part of the 19th century, Fred was working as a Freight Agent for the great Burlington Northern Railroad when he realized that rail travelers of the day had few dining options. To their loss, his railroad had no interest in the concept of providing food service either on the train or at its many stops. However, competing railroad the Atchison, Topeka and Santa Fe did! Over the ensuing years, The Fred Harvey Company built and managed 84 dining facilities for the railroad…..and some destination hotels served by the railroad such as at the Grand Canyon. Ironically, his former employer that turned down his proposal and the one that liked the plan eventually merged and became BNSF. 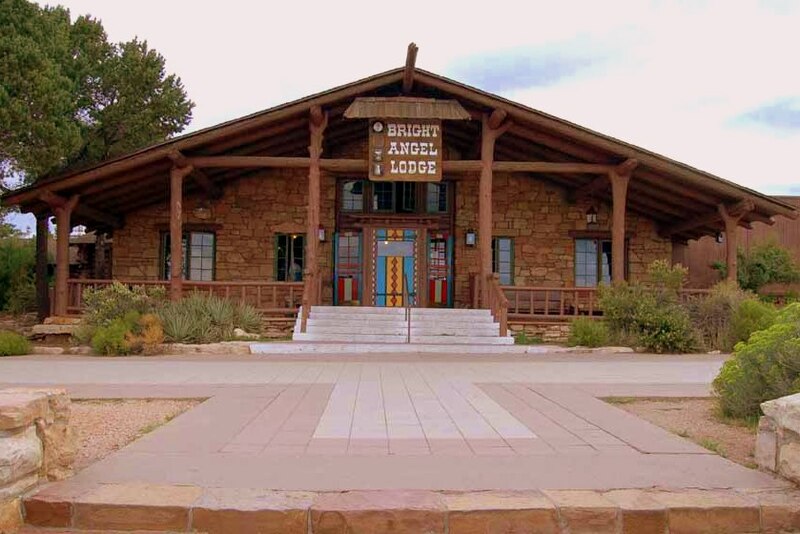 The El Tovar is nice, but a bit too fancy (read pricey)…..so we walked down the trail to the more reasonable Bright Angel Lodge. As with the Desert View Watchtower, this too was designed by architect Mary Colter. 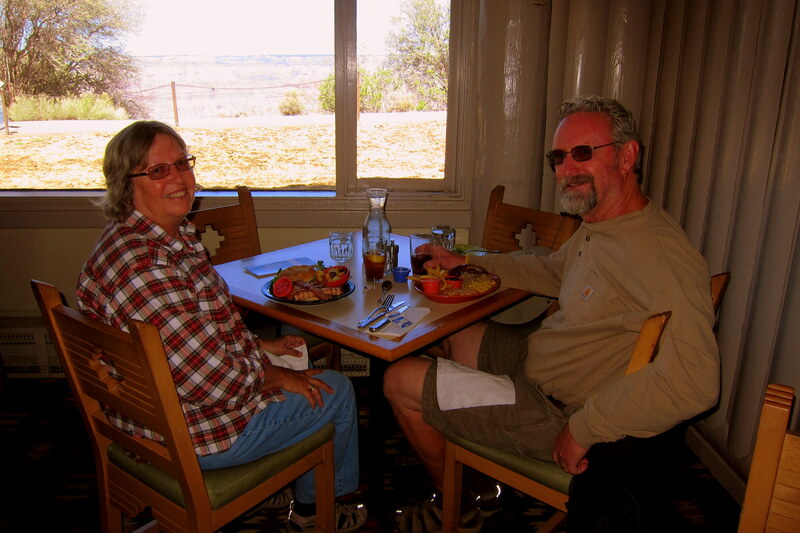 Kit and I picked a table in the Arizona Room with a nice view of the canyon and enjoyed a fantastic lunch. 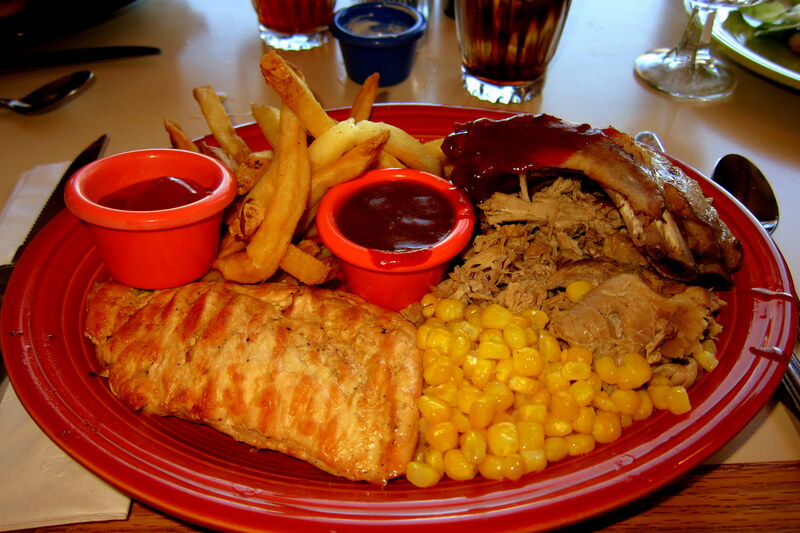 I ordered a delicious Barbeque Plate with chicken, ribs and pulled pork. 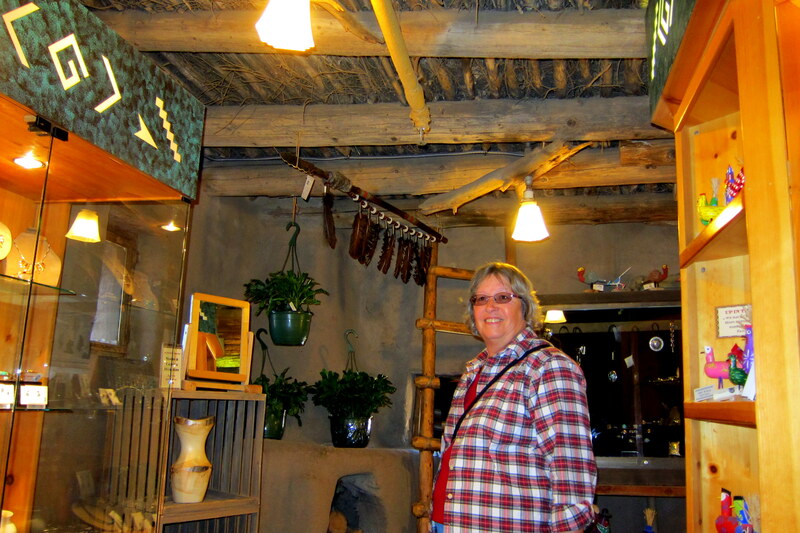 Following lunch, we visited The Hopi House…..also designed by Ms. Colter and built by the Fred Harvey Company in 1905. 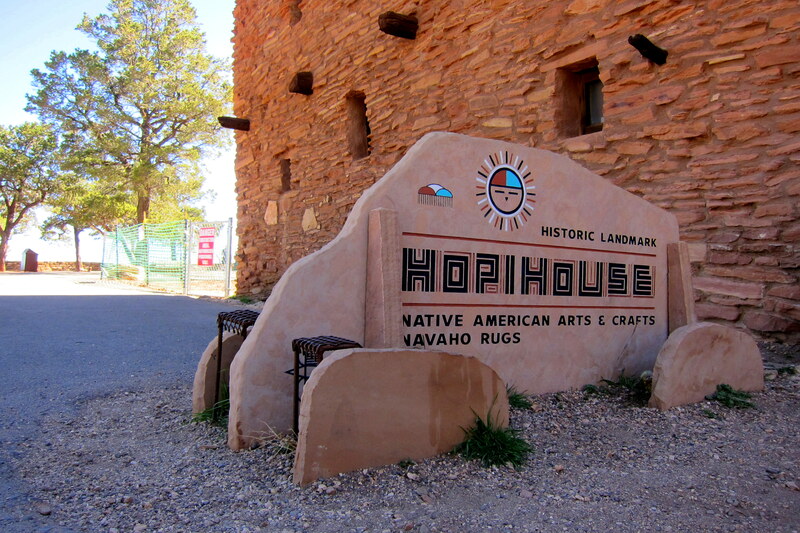 The Hopi House was meant to house concessioners that sold Native American crafts and art work which it still does to this day. Kit had a great time exploring the multi-story shop full of locally made items. 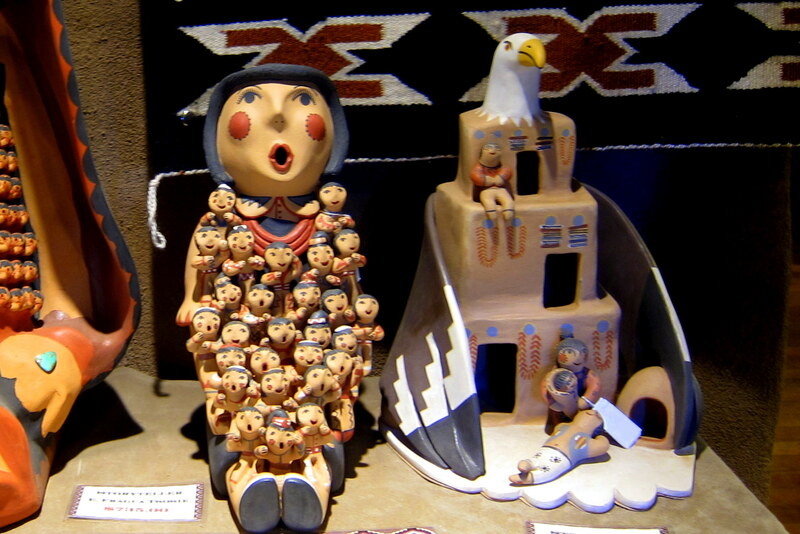 She liked everything but was particularly entranced by these clay figurines. 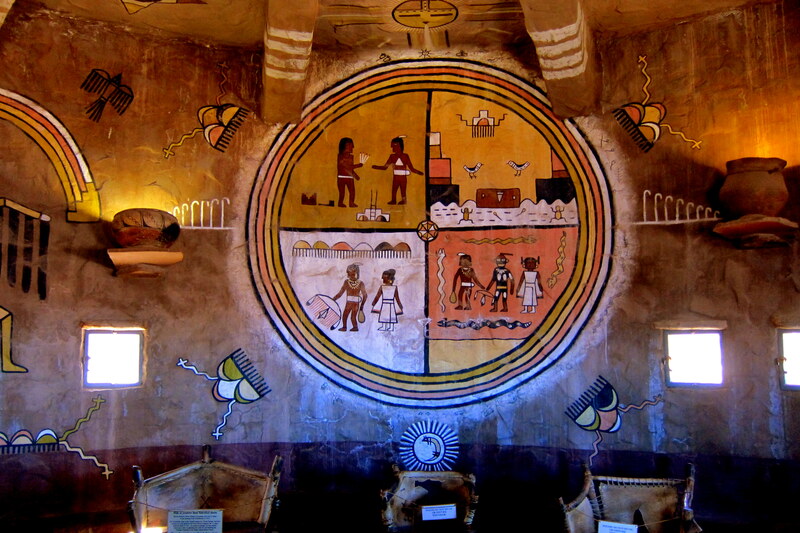 One cabinet in The Hopi House is, for the time being, devoted to the sale of Pawn Jewelry. 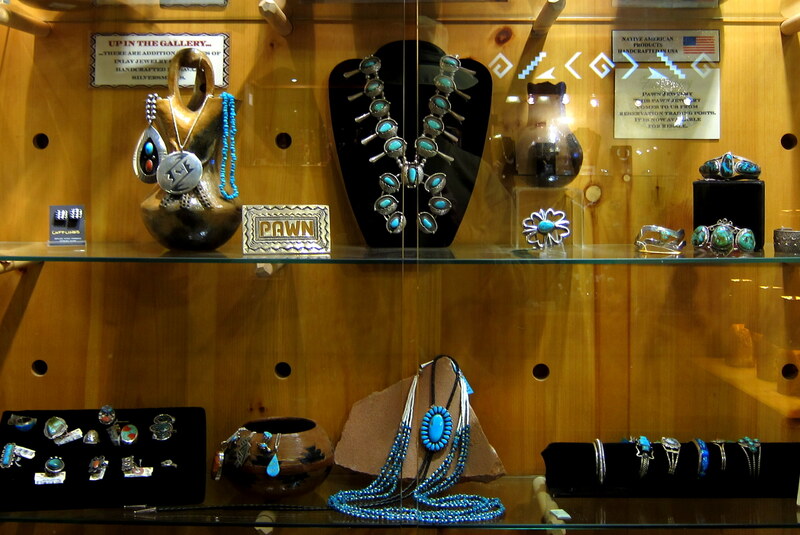 These items, many handcrafted of silver and turquoise, were made by Native Peoples for their own adornment. Most have historic, symbolic or spiritual significance well beyond the intrinsic value of the materials. Quite often, Native Americans would use these personal possessions as collateral at a trading post…..then when able to repay the loan they would retrieve their jewelry. However, if not reclaimed in time, or if the owner passed, the item became known as Dead Pawn Jewelry and the proprietor would sell these native artifacts to tourists visiting the Grand Canyon. This practice within the National Park System is coming to an end, as it should. However, a simple Google search will bring up many businesses still focused on the sale of Pawn Jewelry. A place I’ve read about for years and finally got to enjoy was Kolb Studio. 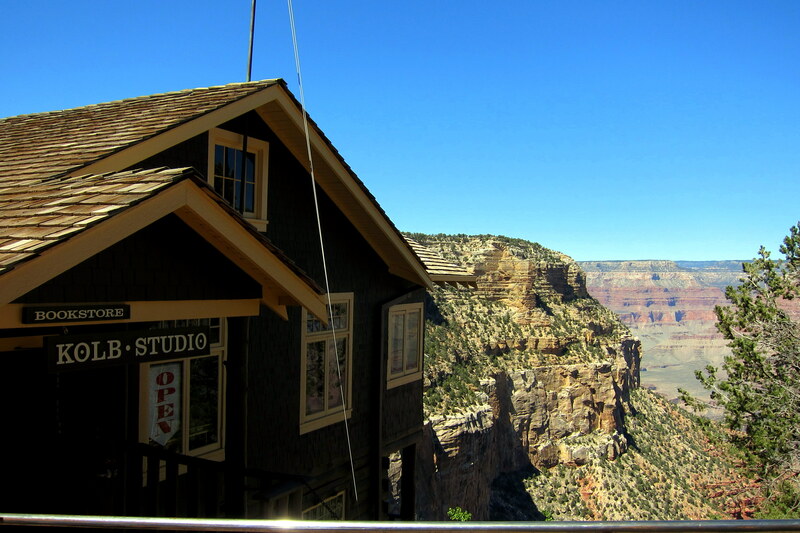 Situated on the canyon rim is the film and photography studio of brothers Emery and Ellsworth Kolb. 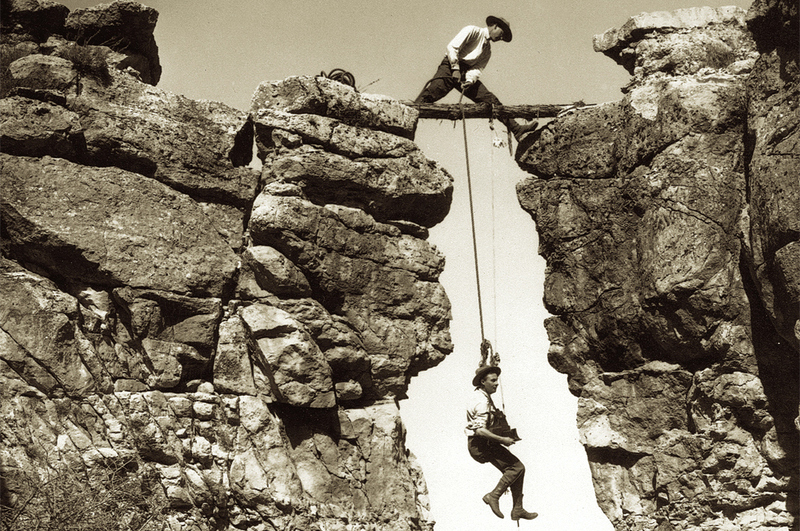 Arriving at the south rim in 1903, the Kolb’s captured some of the very first quality photos of the Grand Canyon. They used creative contraptions to film from unique angles requiring daring work with primitive materials. 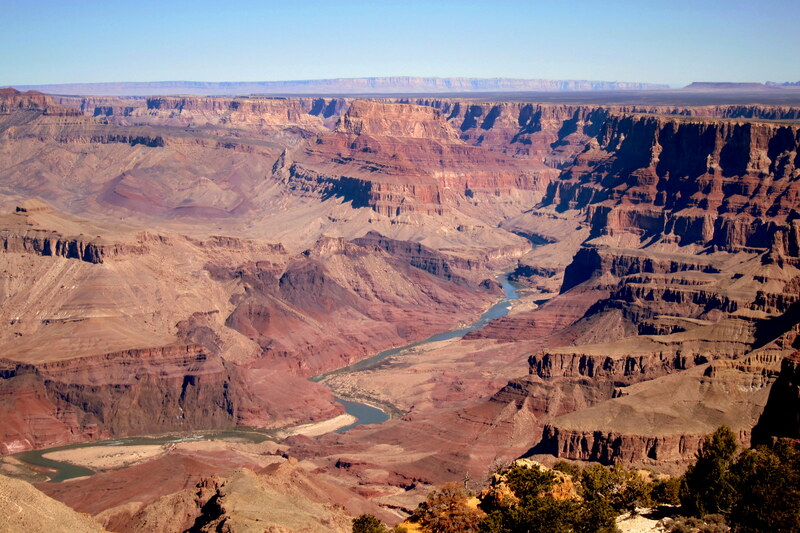 In 1911 the brothers retraced John Wesley Powell’s historic descent of the Colorado River through the canyon. Using a large movie camera they produced the first motion pictures of running the treacherous river. Thirteen years later, Ellsworth left the business and Emory kept on until his death in 1976. 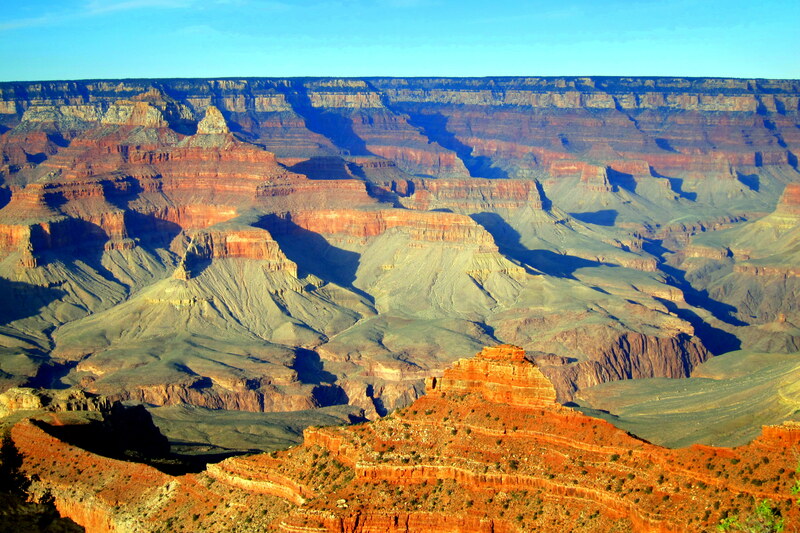 Grand Canyon is known throughout the world and is a prime destination for offshore visitors. The NPS Service can predict with some accuracy when and from what country a surge of foreign tourist will descend on them. If a particular park is featured on a television show in South Korea, then within weeks an onslaught of South Koreans will visit. One of the most popular National Parks in the system, a staggering five million folks visit Grand Canyon National Park each year. This sometimes creates a Disneyland type experience with everyone crowded shoulder to shoulder and having a great time taking pictures of each other. And, you can’t blame them with views like these. It might get a bit crazier as there is a proposal by Navajo leadership to develop their land adjacent to Grand Canyon National Park. 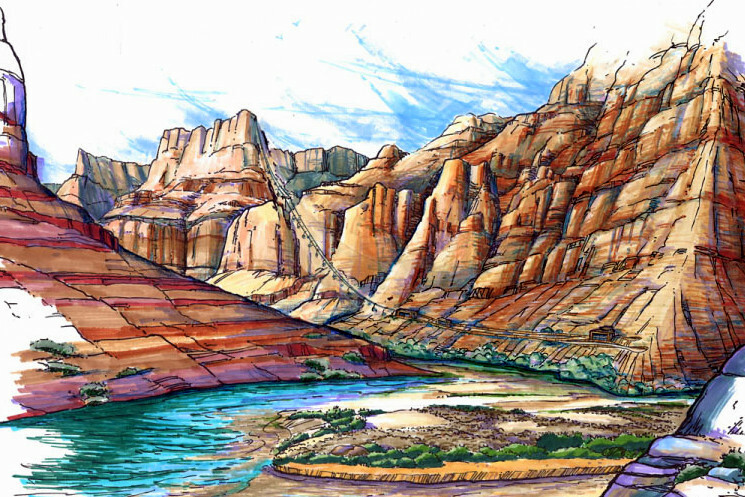 The facility, if approved, is to be called Grand Canyon Escalade and will be constructed on the eastern portion of the canyon. The facility is reported to include a cultural center, shopping district, hotels, restaurants, an IMAX theater, and most controversial of all, an aerial tramway to the bottom of the canyon. The National Park Service and many in the Navaho Nation have joined with Hopi and Zuni tribal members in opposing the development. However, proponents point to the significant financial benefit to one of the most impoverished areas of Arizona. The final decision is to be made soon…..let’s just hope it is the best one for all Americans. 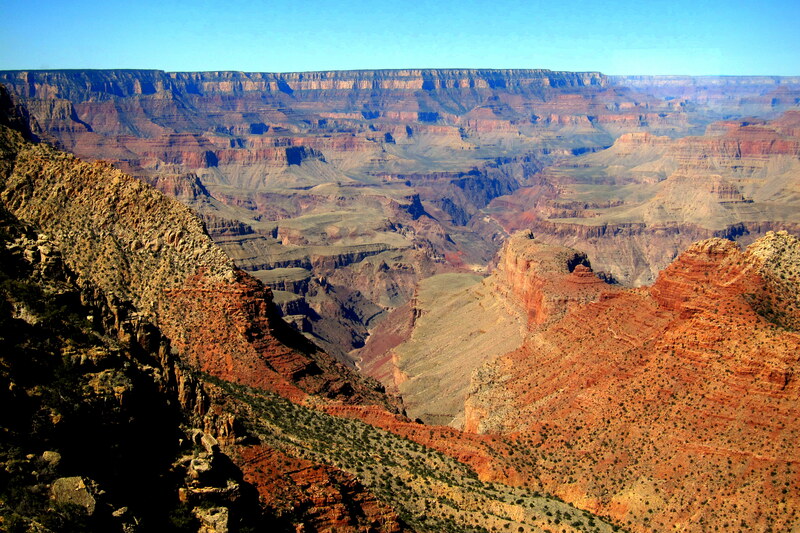 Fortunately, there are two parts of Grand Canyon National Park. The less commercialized North Rim is more difficult to get to and at a higher elevation which makes it inaccessible during part of the year. 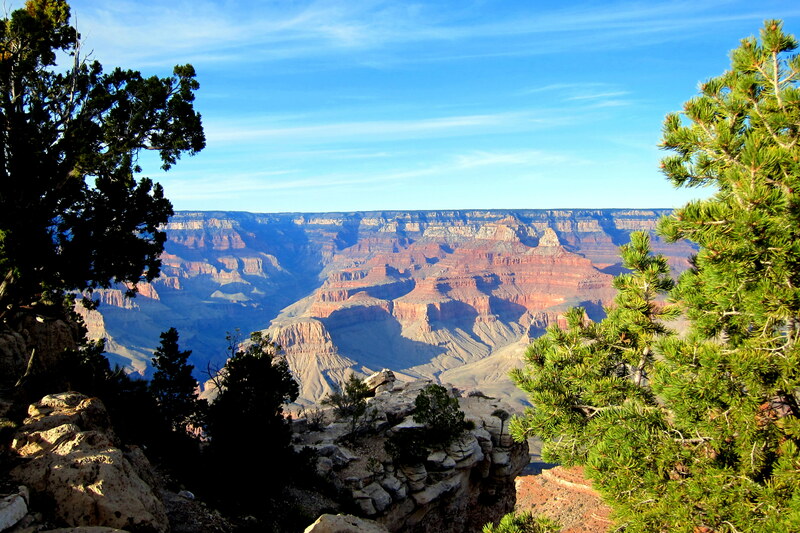 Next time through, the North Rim is where we would like to camp and explore! The sun hung low in the western sky and the crowds of tourists returned to their hotel rooms, or boarded the final train to Williams, Arizona. Kit and I stood at the rim and watched the waning sunlight bathe the brilliant canyon walls…..this has been a great couple of days in a beautiful park! 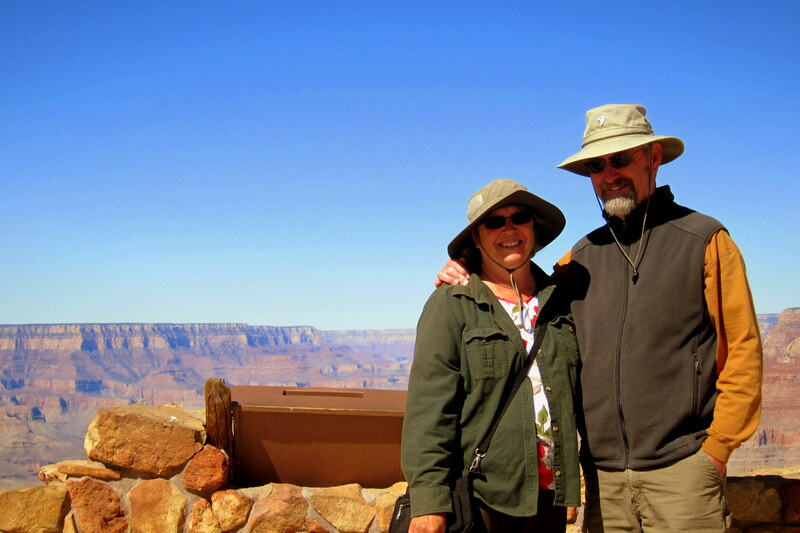 Kit’s Bit’s: This is actually our second visit to The Grand Canyon. Our first visit was during the summer of 1974 with our kids. They were 9, 7 and 3 at the time. Little did we know, we had to make reservations for a camp site, so, we wound up camping on the side of the road with no facilities. The campgrounds are even more popular now so we were incredibly fortunate to score a site. This time around, we were able to see much more of the park in its entire splendor! Our visit in ’74 remains a complete blur to me except for the camping on the side of the road! No doubt, I was totally occupied keeping the kids close by so they didn’t disappear! This time, I thoroughly enjoyed our visit! I’m hoping that each of our kids and grandkids can someday come back here to fully enjoy the park! It is definitely spectacular! Everyone should see it at least once in their life! Love the pictures ….. They are great, perfect for an armchair traveler. 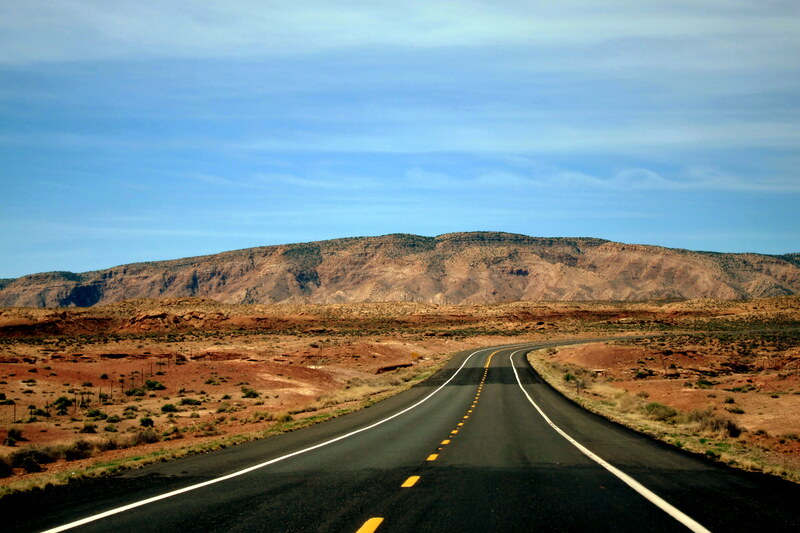 Looks like you had a wonderful road trip…..so much to see and do. Looking forward to seeing you guys soon at IPOA……safe travels. Très bien. Grand Canyon NP is still on my national parks to do list. Thank you! Yep, you won’t be disappointed! Wonderful pictures. Our visit to the canyon was a quick one day drive thru with pictures of us at the rail with the background too. Would love to see it again a bit slower this time.! Thanks for the nice comment. Yep, the canyon, as well as all the National Parks, deserve a return visit! Sparkling pictures. Ours were more washed out. Glad you could spend a couple days and see the best the Canyon has to offer. Looks like you had more company than we did too. Weather finally getting decent in Maine – safe to return! The weather during the time we spent at the canyon created crystal clear visibility. In addition, the colors really pop during the early morning and late afternoon sun. Also, a few of those photos were color corrected by Picasa. Hope to see you folks this summer upon our return. Take care. We have great memories of the Grand Canyon. Like you said, everyone should see and experience the views of the Canyon. I have been there four times and each time is as much a thrill as the first time. What you see at sunrise is quite different at sunset. You are so very right Gerry! 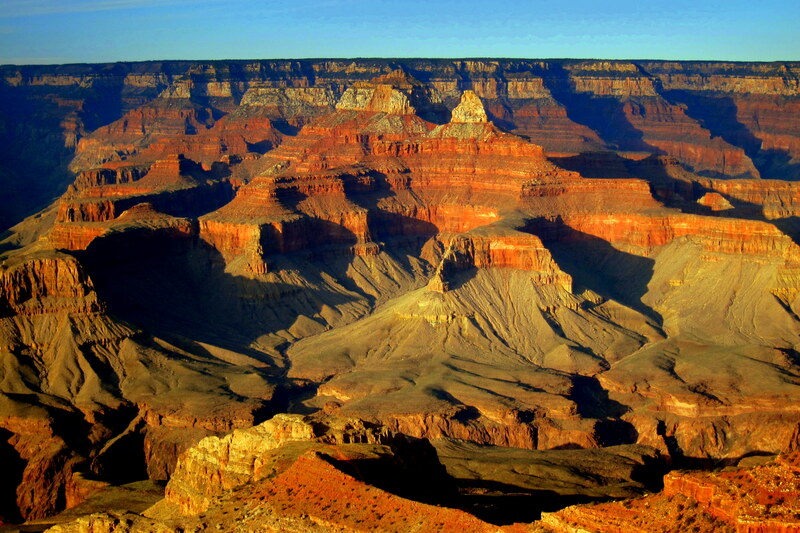 Light has a powerful effect on the diversity that is the Grand Canyon! I REALLY THOUGHT THAT AN CHOPPER RIDE OVER THE CANYON WOULD BE NEAT. GREAT WEATHER HAS ARRIVED HERE IN MAINE, VERY DRY THO. WE NEED DRY WEATHER AS THE HOUSE IS BEING REPAINTED. FIRE DANGER IN THE RED ZONE, HOPE FOR SUBSTANCIAL RAIN BEFORE VERY LONG. OUR SUN DECK AND DOCKS ARE ALMOST COMPLETE, JUST THE FLOATS NEED TO BE CONNECTED. THANKS FOR A GREAT TOUR OF THE PARK AND DRIVE SAFE. SAD ABOUT THE COLLISION. Had a wonderful visit with you both May 11th. It’s only been 50+ yrs. Hope it won’t be that long next time. lol. Be safe and play nice.